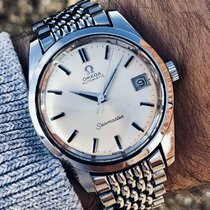 The Omega Seamaster 300 is as coveted now as it was upon its release 60 years ago. The pairing of classic looks with modern tech, such as a Co-Axial escapement and magnetic resistance to 15,000 Gauss, is what makes this watch so popular among its fans. The Seamaster 300 is a true classic among diving watches. It has been a part of the Omega catalog since 1957 and is akin to the Rolex Submariner and Blancpain Fifty Fathoms in terms of what it means to this traditional manufacturer from Biel. In the beginning, it was a watch for military and professional divers. Since then, the Seamaster 300 has developed into an all-around sports watch that fits just as well with outdoor gear as it does with a suit. The outside of the Seamaster 300 has changed very little over the last 60 years. However, its technology has received regular updates. In addition to stainless steel, you will now find materials like titanium, platinum, ceramic, and Omega's own alloy Sedna Gold (a mixture of gold, copper, and palladium). Over the years, the movements have also been brought up to modern technological standards. The calibers in the current models are not only outfitted with Omega's proven Co-Axial escapement but also have been certified as Master Chronometers by METAS (the Swiss Federal Institute of Metrology). This means that these movements are especially accurate and reliable, are protected against shocks and jolts, and can resist magnetic fields of up to 15,000 Gauss. 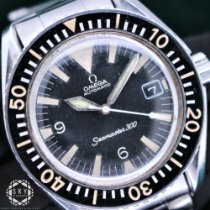 How much does a Seamaster 300 cost? The main difference between the different versions of the Omega Seamaster 300 is the use of materials. Current models come with the option of a stainless steel, gold, titanium, or platinum case. The bands come in the same choices as well as in leather or textile (NATO strap). Due to the different materials, prices for a 300 vary greatly. While you can purchase the stainless steel version new for about 4,700 USD, the titanium model will cost you around 6,500 USD. You can find bicolor models at the next price level. These watches combine gold with steel or titanium and cost between 8,800 and 10,400 USD. You'll have to dig a bit deeper in your pockets for the versions in yellow or Sedna gold, which sell for about 23,500 USD. The platinum Seamaster 300 occupies the top of the price range. It is limited to a run of 357 pieces, as reflected in its 49,200 USD price tag. If you'd like to know what it feels like to be secret agent James Bond, it's worth taking a look at the special "Spectre" edition from 2015. Technically speaking, this is a normal Seamaster 300 in stainless steel. 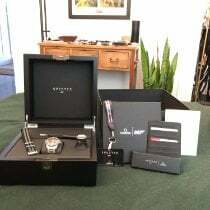 However, the Spectre has a lollipop second hand, '007' engraved on the clasp, and the same grey and black NATO strap worn by Daniel Craig as 007 in the eponymous movie. Only 7,007 copies of the Spectre exist, and its price sits around 10,300 USD. The 1957 Trilogy model was crafted in 2017 in the spirit of the original Seamaster 300. Limited to a run of 3,557 pieces, it is almost an exact copy of the model from 1957. Unlike its 41-mm sister models, the 1957 Trilogy is only 39 mm in diameter, lacks an arrow tip on its second hand, and has a much smaller, bidirectional bezel – just like the original. While the standard version has a sapphire glass case back, this edition features one made of stainless steel. The state-of-the-art Master Chronometer movement 8806 powers this retro watch. You can call this beautiful timepiece your own for about 6,800 USD. You'll have to invest a bit more for a proper vintage model from the 50s. Prices of 21,700 USD are not uncommon for well-maintained models with the reference number CK2913 . Models from the late 60s and early 70s are less expensive while still being vintage. On average, they cost around 9,100 USD. The Seamaster collection began in the late 1940s as a simple, all-purpose men's watch. Contrary to its name, in the beginning, it wasn't meant for underwater use. Instead, the Seamaster was actually used in the air: Royal Air Force pilots received early versions of the Seamaster as a part of their gear. However, the 300 model marks a shift in the direction of the Seamaster collection. The 300 moved the Seamaster from a simple, all-purpose men's watch to a timepiece that truly masters the challenges of the sea as its name suggests. At the time the watch was introduced, recreational scuba diving was not yet widespread. Therefore, the first Seamaster 300 with reference number CK2913 was predominantly worn by military and professional divers. Some of the most well-known wearers were French oceanographer Jacques Cousteau and his team. They wore the watch in 1963 while they built and inhabited an underwater village in the Red Sea called Precontinent II. Omega also provided the United Kingdom's sea and land military forces with 300s. Overall, 1957 was a particularly important year for Omega. Not only did the legendary Speedmaster premiere that year, but the Seamaster line also expanded to include the 300 model. The Seamaster 300 will never go out of style. Omega is following a similar path to that followed by Rolex with the Submariner and Blancpain with the Fifty Fathoms. Both of these watches premiered in 1953 and, while their designs remain consistent, they incorporate the most modern technology. For a watch that can dive even deeper or one with a chronograph function, look no further than the Planet Ocean 600, also from the Seamaster series.